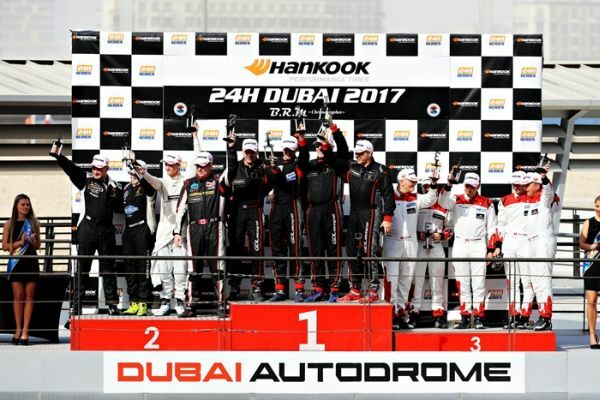 18.01.2017: For the 12th time in a row Leipert Motorsport participated last week in the 24h race at Dubai (UAE). 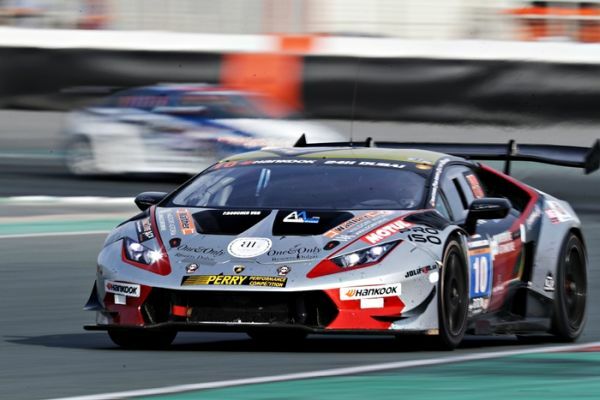 For the 12th time in a row Leipert Motorsport participated last week in the 24h race at Dubai (UAE). The team and their drivers were able to gain again on a Lamborghini Huracán ST a grandiose result with a 2nd place on the podium. The private practice session at Wednesday with the drivers Oliver Webb (GB), Jake Rattenbury (GB), Harald Schlotter (GER) and JC Perrin (CAN) went well. But then the horror took its course. Thursday during the free practice the car crashed and that crash caused an irreparable damage to chassis and engine. After analyse and dismantle of the car the team had to determine that a repairing was impossible. Frustration of team and drivers in the team tent. But there is no give up at Leipert Motorsport. the team dismantled the replacement car completely, because this car was not prepared for endurance races. The Leipert guys gave their best and after nearly 16 hours work, also during the whole night, the "new" car (from 2 make 1) was ready to drive the Warm Up. Jake Rattenbury went out on the track with the assembled Leipert Huracán (now with a golden head). He came in and said: Perfect, everything is running smoothly. Great pleasure for the tired mechanics and the drivers. The Lamborghini Huracan ST with #10 had to start from the end of the grid because of missed qualifying. But this fact was still better than not being at the start. Then the sun sets and rises again for the exhausted team and the drivers Oli, Jake, Harald and JC who turned to be highly motivated again. Oli Webb started the race from place 95. He led the Huracan through the field like a hot knife through butter. After nearly two hours stint he handed over the wheel to Jake Rattenbury on P14 overall and P1 in class SPX - absolutely amazing. The team could not believe it. Also Jake, Harald and JC had shown an amazing performance during their following stints. After an extremely exciting racing thriller without any problems car #10 crossed the finish line after 24 hours on P19 complete and P2 in class SPX. Ingo Leipert: "The start of season 2017 has challengend us extremely. But despite the shock during the free practice, we have never been so happy about a podium as this week. Our staff has given everything, so we would like to thank them again. We are incredibly proud that they have shown such a perfect performance in the short time during the night and that they still have hold out the 24 hours of the racetime. The newly built vehicle ran without any problems. 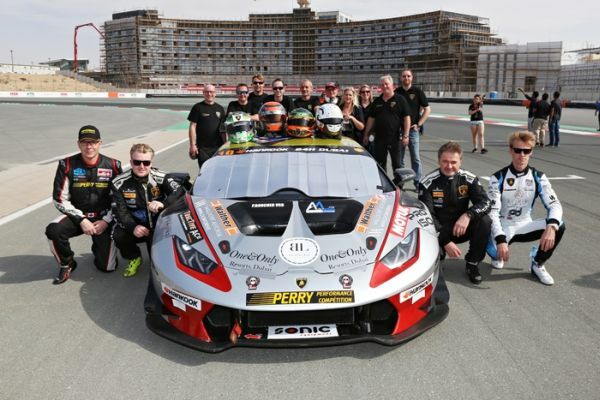 Also our drivers Oliver Webb, Jake Rattenbury, Harald Schlotter and JC Perrin were incredible. The Lamborghini Huracán has survived the complete race-distance without damages. Thank you for that." The upcoming races of the team: Lamborghini Super Trofeo Middle East (Abu Dhabi & Dubai) in Februar and March 2017.